Digital Video and Film lab provides professional conversion and transfer services To the entire Los angeles area. We transfer Vhs to DVD, Hi8 to DVD, Minidv to DVD, Umatic to DVD, and all 8mm film formats like 8mm film to DVD , super 8mm film to DVD, 16mm film to DVD. 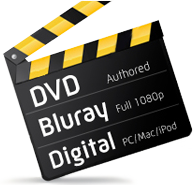 We can also convert all formats to hard drive digital files including MOV QuickTime , Apple pro res, Mpeg 2.